Graham Bristow optimistic of long-standing event's future ahead of first ever indoor edition this Friday. Good Friday Meeting organiser Graham Bristow believes moving the long-standing event to London’s Olympic Velodrome will strengthen it in years to come. 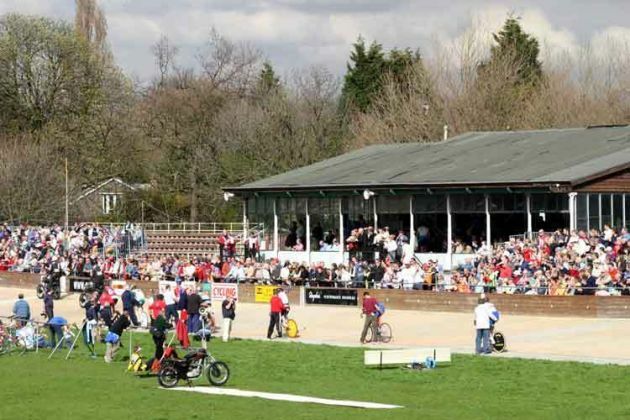 For the first time in 110 years, this year’s meeting will not take place at the Herne Hill Velodrome in the south east of the capital, but instead at the iconic “pringle” track in Stratford. And while Bristow has been criticised by some for breaking with tradition by changing location, he believes such a decision can only be good for the event. “I’ve grown up at Herne Hill, and I have an affinity to the place,” he explained, “but it’s nice not to be at the mercy of the weather for once. “People who accuse me of taking it the Lee Valley VeloPark to make money are wrong – let’s remember it is not their money at risk. “The overheads for moving it indoors are increased, and although people say that if an outdoor meeting was cancelled, I wouldn’t have to pay prize money, I still have to pay for riders’ travel, hotel costs and everything before the meeting takes place. “There’s going to be a different feel to the event this year, with it being indoors for the first time. With the International Sprint, Golden Wheel Scratch Race and Derny Paced GP, the schedule is very much reminiscent of previous Good Fridays. “We’ve got lots of hitters taking part,” added Bristow. “There will be top riders like Ed Clancy, Andy Tennant and Jody Cundy, as well as regulars – and Six Day specialists – Christian Grassman and Leif Lampater. There are plans for future meetings to comprise of a morning and afternoon session, and Bristow is upbeat about the event’s future. “In an ever-commerical sport, the meeting is still put on by enthusiasts. So if people want to come on the journey with us, the future of the meeting will be fine,” he said. * Tickets for the Good Friday Meeting, which takes place at the Lee Valley VeloPark between 1-5.30pm on Friday are available here.